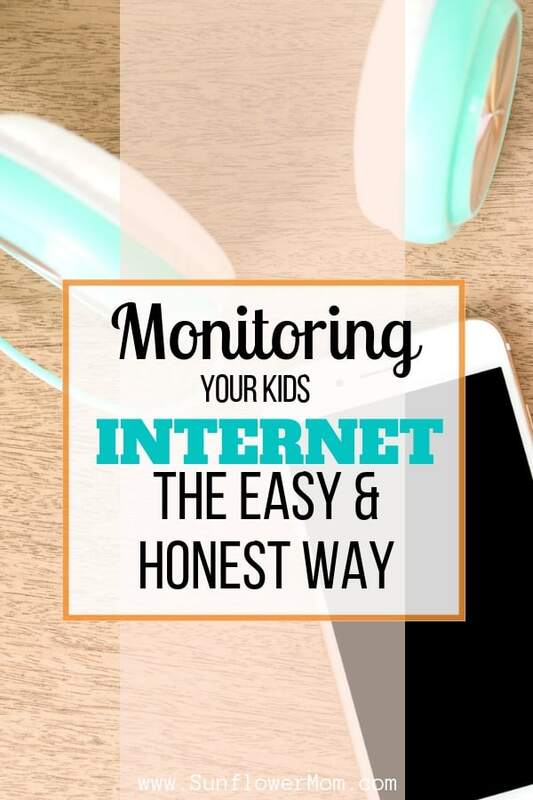 Child phone monitoring doesn’t have to be labor intensive for the parents. It also doesn’t have to be something the children despise. After battling over the Internet in my home for over a year, I researched and found a simple answer that sets reasonable limits and very little overhead for parents. All the fighting and bargaining over my kids’ phone and Internet usage cleared up for my family the day we started using Circle with Disney. I got so tired of nagging over chores that were undone, hearing, “Mom just let me die first,” which always meant another 15 minutes, and listening to those YouTubers way past bedtime. And though I had found a way to successfully monitor and restrict my own phone usage using the Moment app, that required a degree of self-discipline. Expecting the same out of children, when most adults struggle with turning their phones off, was unrealistic. Now, when my children’s Internet is turned off because they reached their limit for the day, or it is paused because they didn’t do a chore expected of them, I don’t hear any whining or complaining. They do what’s expected then ask for their phone to be turned back on. They no longer see me as someone to argue and bargain with, it’s up to the Circle device. And they know they can’t argue with a computer. I researched many apps and devices to decide which one to use to monitor my kid’s cell phone usage. In the end, I realized that I could not possibly use an app that allowed but also required me, (for it to be effective) to sort through all their social media each day. The way apps are evolving I could not be on all the same platforms they were, nor I could not possibly know what was going on inside each one. Even simple games have texting inside of them, or they allow “friends” or “follows.” Games and apps evolve daily. No way I could be on top of each one. Other software that is placed on top of your router that monitored all of the websites, text messages, pictures, etc. were too invasive to the children. I wanted an option that didn’t make my children hate the monitoring device, but instead, respect the time limits set. I decided to take a balanced approach which was monitoring their overall time spent and trust. The way I look at it is the conversations kids have in social media now; we used to have at school via notes or on a landline. Our parents didn’t, or couldn’t, monitor every single word we spoke to each other. Instead, they observed our total time spent on the phone or at the mall, or at a friend’s house. In my house, it is part of the verbal agreement I have with my children regarding their cell phone that I am allowed to pick up their phone at any time and read their text messages and see their incoming and outgoing numbers. I must always know the passcode to their phone. If not, I don’t have to pay for their phone. For the most part, I keep their privacy regarding their phones. Much like I would a private conversation. Unless a situation warrants it, I don’t touch their phones. One thing I love about Circle with Disney is it’s a one time purchase. (See below for information about the on-going purchase if you choose to monitor outside your network.) You hook it up to your home Internet system. Installation is straightforward and walks you step by step when you open the package. From there, you have an app on your phone that you use to monitor your family’s Internet usage. Your phone becomes the master phone monitoring for the household. You will control who gets extra time on their phones, who gets it taken away or paused, and you add additional devices. It is effortless to monitor. Once you have it set up, the software monitors the phone usage, while you may only go into it a couple of times a day for rewards or punishment/warnings. Disney Circle manages all the devices that come onto your Internet – regardless if it is a phone or not. This means you can use it to monitor gaming consoles as well if they connect to your router. You set up any device that connects to your Internet to either a “person” or to the “house” in the Circle app. If it is set up to the house, then there are no restrictions. So for my son, I was able to set up his phone, iPad, and his Xbox all under him. All of this goes into his total Internet usage time each day. I chose to assign their Chromebooks to the “house” so it does not go against their Internet time. Each child has a daily Internet time limit. You can set one child up with 2 hours of Internet each weekday and 3 hours of Internet on the weekend. Then set another child up differently. Once they reach their total internet time, you receive a notification on your phone, and they cannot access the internet. This is a notification you receive when a child has reached their limit. Even if your child has a data plan, it will not automatically revert over to a 4G network; they cannot access the internet. You can choose at this time (or anytime) to add Internet time for them by sending them a reward. Rewards are in 15-minute increments. You will also set up a bedtime for them. Regardless of how much time your child has spent on their phone that day, you can have their internet turned off at a particular time. You can set this differently for each child. This is where you set the bedtime (or internet off-times) for each child. There are different primary filters you can then modify to fit your children. For example, I set my children up as teenagers. Even though they’re technically preteen, I felt like the presets were too restrictive for my kids and would be easier to modify the “teenager” filter. This included blocking apps like Facebook, Snapchat, Twitter, etc. These are the apps allowed for each filter and where you can change them by the child. In the mornings since I have such a difficult time getting the kids ready for school without them being on their phones, I set new wake up time during the school year to 3 PM. This means their phone won’t allow them onto the Internet until they get off school. This way I do not have to tell them to get off the phone in the morning and to get ready for school. On the weekends I set a three-hour time limit. If they do additional chores for me throughout the house such as doing the dishes, walking the dog, cleaning their room, etc. then I can reward them with extra Internet time. Even if they haven’t used any of their Internet for the day and I need them to do something, and they are not listening all I have to do is pause their Internet. Pausing their devices works so well for my kids as soon as their Internet is paused they immediately come to me to see what it is they need to do. There’s also the option to pay a monthly fee and monitor their device from outside of your network. I’ve decided not to go that route as I do not wish to pay an additional monthly fee. I have found monitoring the usage inside my home works very well for my household. Home is where they are expected to do their homework, spend time with family, and relax. I do not wish to be on their back while they are out with friends, monitoring their phone time. My youngest does not have a phone with Wi-Fi outside of the house. Before my children are ready for a phone, I give them one of my old phones. I consider this a “tester phone.“ This phone is one that is an older model it may have had a cracked screen, but the point of this phone was to test my child’s responsibility. Disney Circle still works for monitoring his phone usage as well. His Wi-Fi is in the house, and he has Xbox and gaming systems that connect to the Internet. To see a video overview of how I use Circle with Disney to manage all the devices, including the phones, for my children in my home, see below. In the video, I mention how it was the best $100 I had spent. But lately, I have seen it for less than $75. I would have gladly paid a therapist that amount to get my kids and me to quit nagging and arguing over chores! This has been one of my biggest struggles lately. I feel like parents need to monitor screen time and have a way to allow content that they feel is appropriate for their kids. Thanks for the info. I’ve been looking into different options and this helps! I’m glad you found it helpful. As my kids are becoming teenagers I find if I don’t monitor their screentime, they never put down their phones!